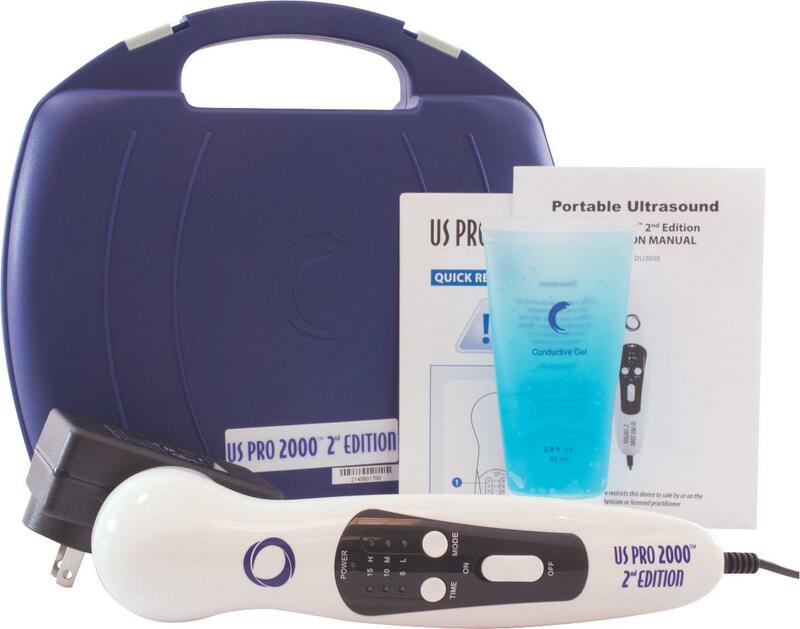 The US Pro 2000TM is a therapeutic ultrasound device that generates deep heat to effected area. Device must be used with ultrasound gel to conduct the waveenergy to the skin. Comes complete with ultrasound, AC adapter, carrying case,ultrasound gel and instruction manual.